I am on a roll. Football games must bring out the best in me.....My first card was posted earlier today. The sequins filled ornament is my most recent. 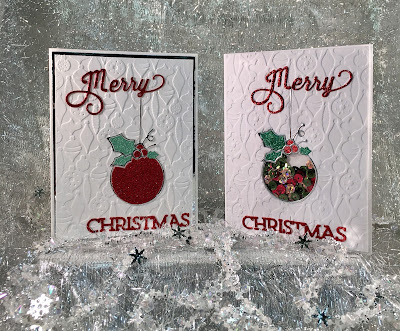 I'm always amazed that two cards can be made using the same supplies and they look different. If you read the previous post you will know the supplies I used. Here's what is different. Sequins instead of a glitter ornament and I didn't frame the card with mirror silver. If you look really close you will see one more difference. The background on one card is embossed, on the other it is debossed. I was surprised at the visual difference. I was also surprised by adding the silver border made the card look smaller. Off to organize my dies. So.....if you don't already know, Sparkles Chistmas Challenge would love to see what you can create using the theme lots of glitter. 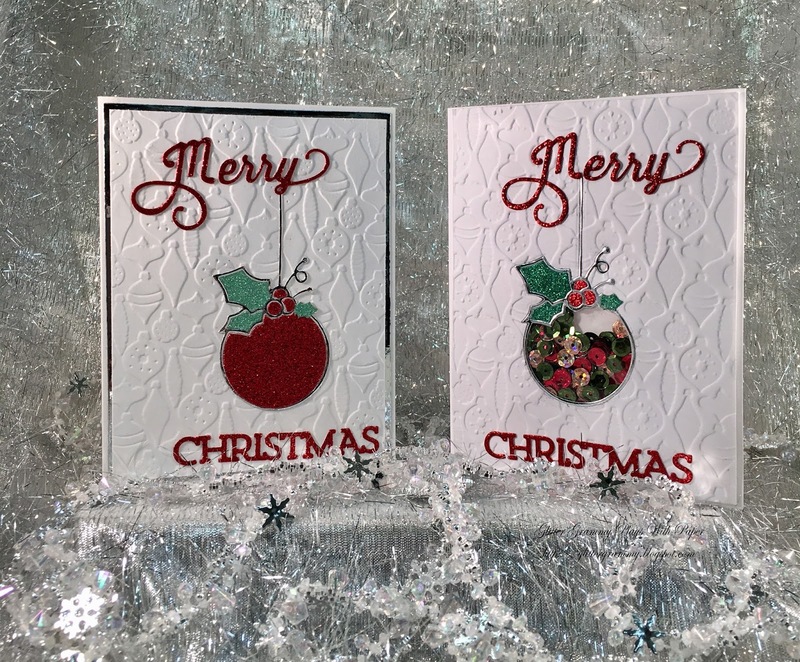 My sequins card won't count for the challenge, but it was fun to make and I have another card ready for Christmas of 2017. Again, Happy New Year! I hope to start sharing more in 2017. Glad to know you are hanging in there with your organizing of your dies! Good luck with it - it is well worth the time. Maybe someday I will show you my organizing method when I am up in Paradise! Both cards are so very pretty!